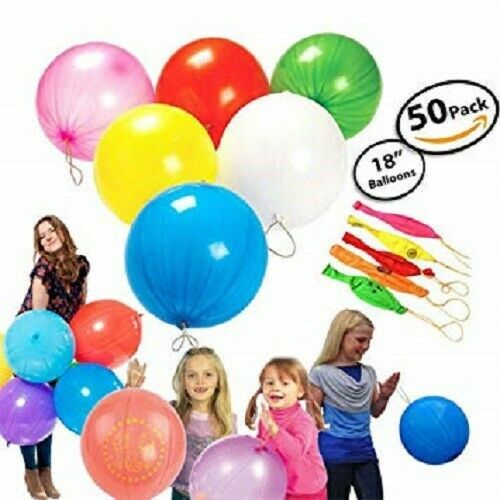 Large Party Punch Balloons. Assorted Coloured Latex Punch Balloons. Large 16" Balloons When Inflated. Elastic Handle Attached To Each Balloon. We strive to dispatch orders within 24 hours (Mon - Fri only).